In preceding tasks, you enabled Azure Active Directory Domain Services for your Azure Active Directory (Azure AD) tenant. The next task is to enable synchronization of password hashes required for NT LAN Manager (NTLM) and Kerberos authentication to Azure AD Domain Services. After you've set up password hash synchronization, users can sign in to the managed domain with their corporate credentials. 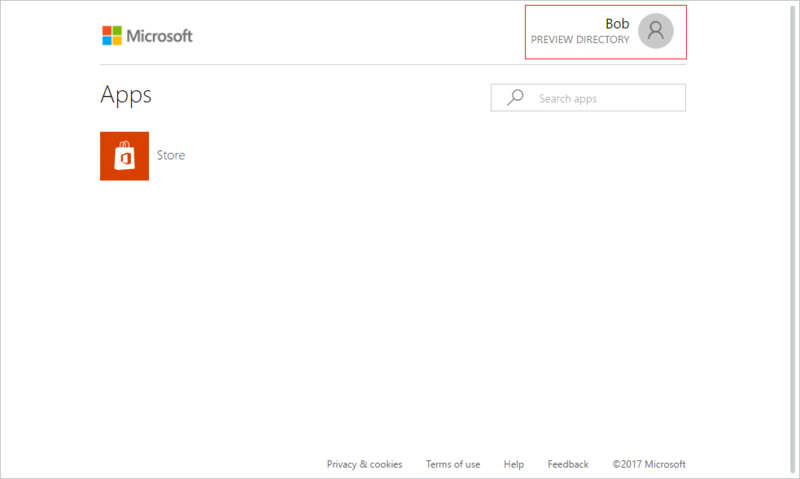 The steps involved are different for cloud-only user accounts vs user accounts that are synchronized from your on-premises directory using Azure AD Connect. You may need to complete both sets of steps. If your Azure AD tenant has a combination of cloud only users and users from your on-premises AD, you need to complete both sets of steps. If your organization has cloud-only user accounts, all users who need to use Azure Active Directory Domain Services must change their passwords. 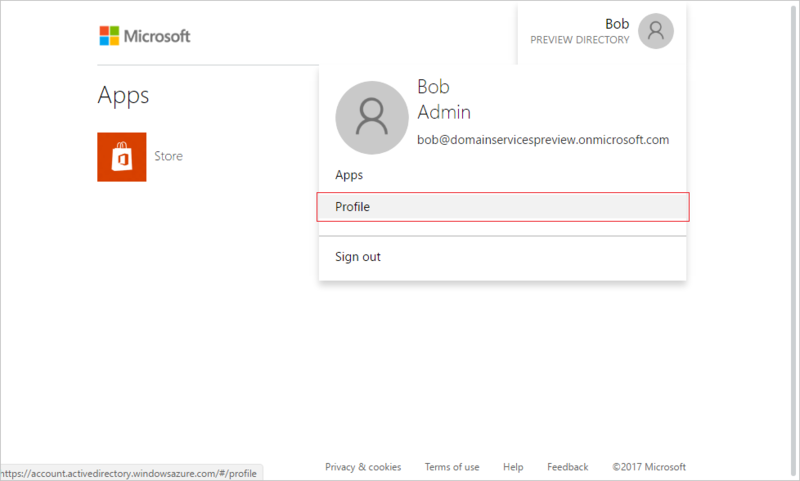 A cloud-only user account is an account that was created in your Azure AD directory using either the Azure portal or Azure AD PowerShell cmdlets. Such user accounts aren't synchronized from an on-premises directory. This password change process causes the password hashes that are required by Azure Active Directory Domain Services for Kerberos and NTLM authentication to be generated in Azure AD. You can either expire the passwords for all users in the tenant who need to use Azure Active Directory Domain Services or instruct them to change their passwords. Go to the Azure AD Access Panel page for your organization. In the top right corner, click on your name and select Profile from the menu. On the Profile page, click on Change password. 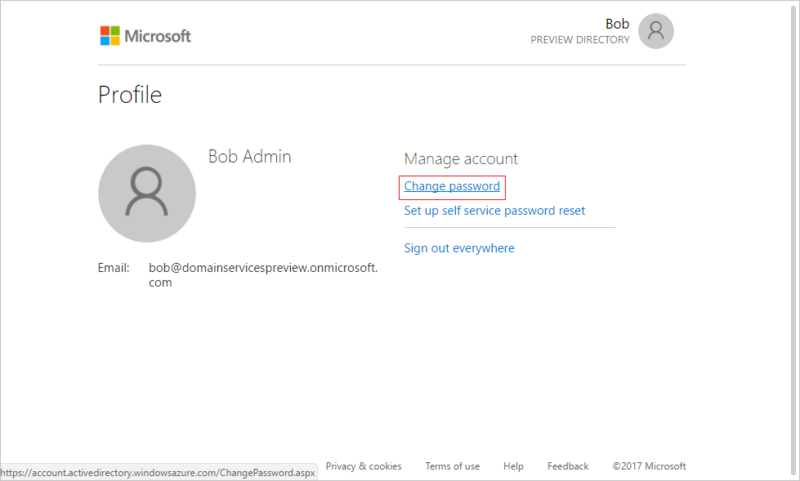 If the Change password option is not displayed in the Access Panel window, ensure that your organization has configured password management in Azure AD. On the change password page, type your existing (old) password, type a new password, and then confirm it. A few minutes after you have changed your password, the new password is usable in Azure Active Directory Domain Services. 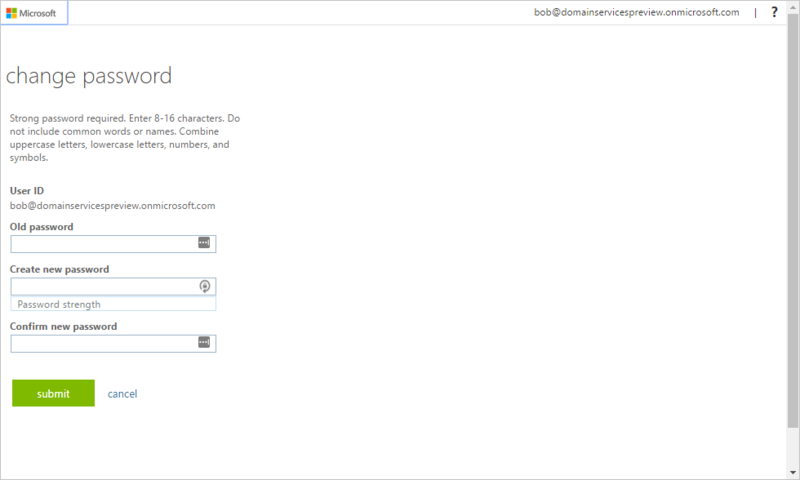 After about 20 minutes, you can sign in to computers joined to the managed domain using the newly changed password.